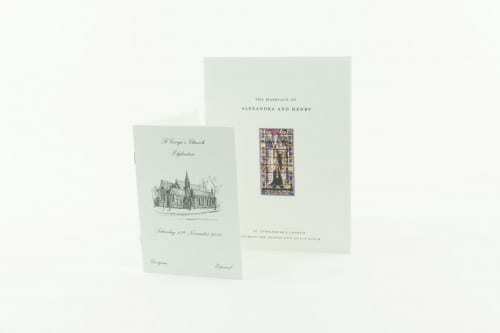 The most modern invitation in our range, the Mendip invite is the epitome of a class. 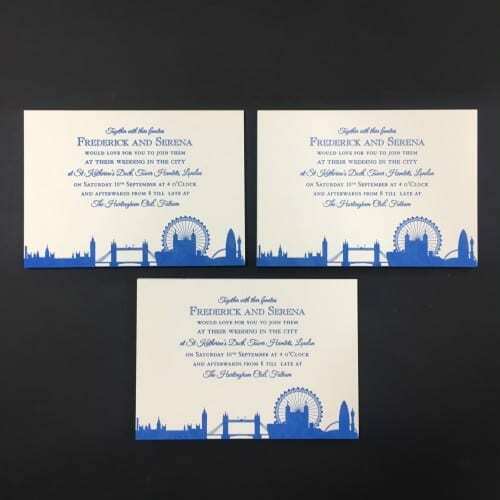 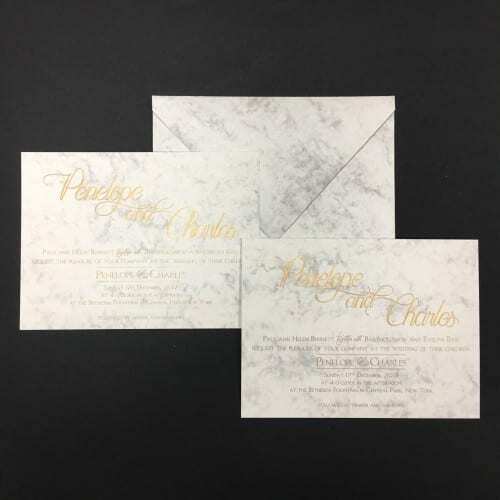 A thick 700gsm textured card, engraved in a ink colour of your choice complete with a square plate sunk border, this card will fit in perfectly with a minimalist wedding. 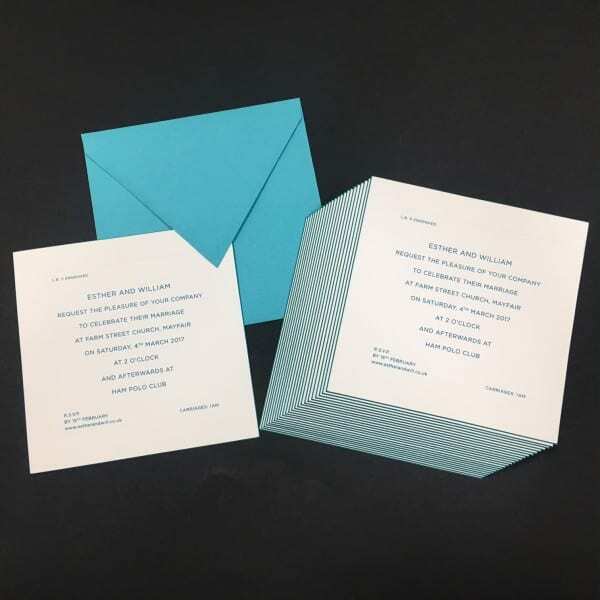 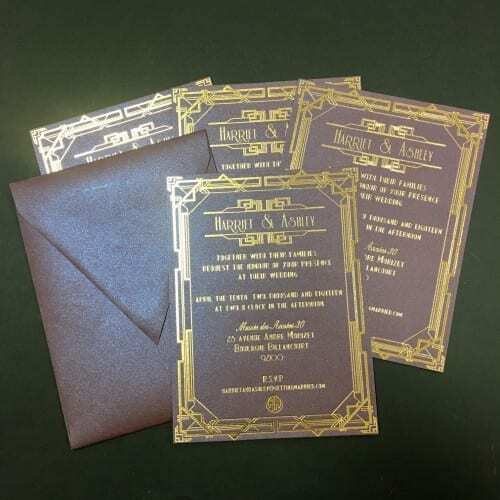 Our Mendip invitation has hand bevelled edges, painted in a colour to match the print, and come supplied with 155gsm white envelopes which have the option of being lined in one of our various papers or tissues, or alternatively matching envelopes can be made (pictured).